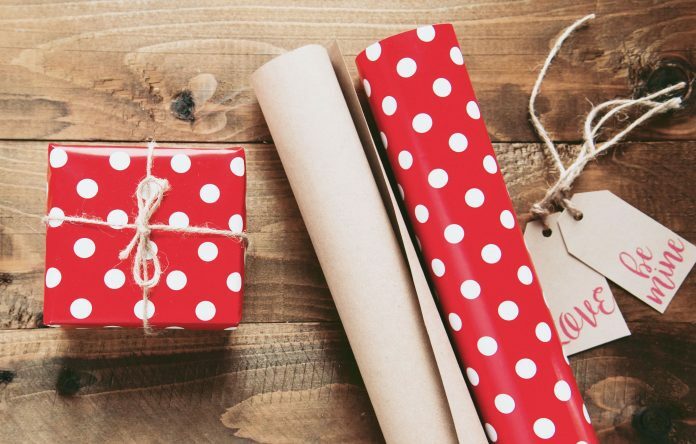 99 Fun Long Distance Birthday Gift Ideas to Make Anyone Smile! For 2019! Thanks to globalization, it is not uncommon to have someone you care about live far away from you. It is understandable that you want to celebrate your partner’s birthday though it might be difficult to get them the perfect gift given the distance between you. If you are still searching for that perfect gift, then look no further! I have compiled a comprehensive list of gift ideas which you can use to put a smile on your long distance significant other’s face. I promise that you’ll find this list very helpful whether you want to be romantic, fun, or even a little bit naughty to surprise your partner. So let’s dive into my list of 99 long distance relationship gift ideas for 2019 and find that perfect gift for your significant other right now! You can get a custom bobblehead made to the likeness of you in just seven days! Simply upload your photo to Amazing Bobblehead’s website and they will make one that looks just like you within a week. Send it to your partner and they can watch the miniature-you bob its head all day. Store-bought cards are so boring and impersonal. Why not make your own cut out card and truly express your feelings for your partner? Make your sweetheart’s day by sending them your very own hand-cut and beautiful card with a unique message from you. I guarantee that they will appreciate the effort you put in and they do not need to know how easy it was to make! Instead of sending just a photo that your partner can slip into a frame, have you ever thought of getting a collage of photos printed on a piece of beautiful and durable wood? Not only does it look fancy and make for a fantastic decorative item for your partner, but it will also remind them of you whenever they see the wooden photo collage. Before the invention of the camera, royalty and noblemen used to have artists paint portraits of themselves to symbolize their status and power. These portraits were passed on from generation to generation as an important family heirloom. Today, we are so used to snapping a picture with our mobile phone and just sending it to our loved ones via the internet. How about making it extra special and get an artist to paint a photo of you and your partner together to immortalize your love? This is certainly a romantic gesture that your partner won’t be expecting! Scent is a powerful stimulant that could trigger memories that someone associates the smell with. Vessel Scents of Style is a company that combines beautiful jewelry with a scent of your choice. Send your partner one of these pleasant-smelling jewelry pieces and he or she will always think of you in a sweet way. Not only does the jewelry look fantastic, but it also smells wonderful too, hitting two birds with one stone! A quirky gift which could have a romantic touch too, a giant fortune cookie is certainly not something anyone would expect to see in the mail. With a wide variety of cookie combinations to choose from and putting a customized message inside, this is surely one gift your partner will never forget! Sure, sending flowers is not the most original idea. But sending your partner a bouquet of stunning roses straight from a farm at the base of a volcano with an epic romantic story behind it makes it something extra meaningful. The roses are cultivated in a sustainable and eco-friendly way, so they are the perfect gift if your partner is someone who is concerned about the environment. Design a special photo book that is full of all the good memories you have shared together with your partner. Whenever your partner is feeling down, they can flip through the photo book and take a walk down memory lane. This will help them get through those tough times when you cannot be with them physically. Share a drink every month to celebrate your relationship from a distance. With an active subscription, SaloonBox will send craft cocktails designed by celebrity bartenders and deliver the ingredients plus instructions straight to your partner’s doorstep every month. You can even make your video chat sessions more fun as you watch each other make the cocktails and drink them together. Whether your partner is a male or female, you can give them a fashionable necklace that they can wear to both look good and remind them of you. But take it one step further and personalize the necklace with a name. You can bet that they will definitely think of you whenever they wear the necklace! Every couple has a song that is especially meaningful to them. What better way to remind your partner of that special song you share together than a custom music box? You can create a custom-made music box that plays a specific song and surprise your partner with it. This is perhaps one of the most romantic gift ideas out there and it is especially suitable as an anniversary gift. This will be the perfect gift if both you and your partner are avid readers. You can sign your partner up for the Book of the Month club and they will send a book to your sweetheart every month. The books they send are specially curated by real readers so you can be assured of the quality. If both of you have a subscription, you can create a private book club just for the both of you and have regular Skype sessions to talk about the book you read that month. This is a great gift for a man that combines both romance and practicality. A pocket watch is already something very special, but it is even more meaningful when you engrave a special message on it just for him. Every time he wants to tell the time, he gets reminded of how sweet you are. Isn’t that just perfect? Photo books make a nice keepsake especially for couples who live very far apart. However, you have probably made at least one photo book with your partner already, and it can be a gift that is quite expected. Instead, why not send them a photo bracelet or necklace that is also stylish and beautiful? Design a pillowcase with your partner’s name on it with the words “I love [your partner’s name]” and send it to them. It is a great way to keep your partner’s mind on you and show your love to them. Sending cards is not something new, but what about surprising your partner with a 3D card? These cards fold flat and fit into a normal envelope like any other card. But when your partner opens them, expecting your everyday greeting card, imagine the look of delight on their face when the card pops open into a beautiful 3D card! You can even have a tailor-made one to make it extra special. Not just another heart-shaped pendant which can be a rather cliché gift, get a custom-made one which has both you and your partner’s names on it. This is a fantastic gift for someone in a long-distance relationship to help them get through those tough, lonely times. Head over to a store and hand-pick some of the most fun, quirky, and entertaining stickers you can find. Then fill a box with them and send it to your partner. This gift idea might seem random and even a little bit bizarre, but you can bet that it will definitely put a smile on your partner’s face! There is a company called Fracture Me that can turn any photo into a beautiful glass piece. This is a stunning gift and your partner will definitely get a lot of compliments if he or she hangs it in their living room. Not only that, it will remind your partner of you, which is so important when it comes to maintaining a long distance relationship. This is another gift that is both meaningful and useful. Print your favorite love quote on the mug and send it to your partner. When they are relaxing with a warm mug of tea or coffee, they will think of you, along with all the positive feelings that come associated with a warm drink. When you are in a long distance relationship, you want to be able to take photos or Skype your partner at any time. Having a handy webcam light with you enables you to do just that, no matter how dark it is. Send this to your partner and they will appreciate that you want to see every part of their daily life, even when you are far away. The idea of a message in a bottle is a romantic one so why not use it to your advantage? We live in a time where even a handwritten letter can be considered romantic. So, when your partner finds a handwritten letter inside a bottle, they will certainly appreciate it. This is an especially fitting idea for couples in a long distance relationship since traditional bottled messages travel across oceans before someone finds it. Create a short message that shows how much you love your partner or find an inspirational quote to print on a shirt. Then, send the shirt in a nice package to your partner. Not only do they get to see how much you love them on the shirt, but they also get to have a new shirt to wear too! Win the heart of your darling by sending them a giant gummy heart! Not only is this a delicious gift, but it is also both fun and romantic too. Anyone will be delighted with receiving an unexpected giant candy that they can enjoy eating and having it in the shape of a heart just makes it extra sweet. A keychain is a practical gift, but it can also be quite boring. However, make the gift unique by sending your partner a keychain that is in two parts that can be separated – one for you and one for your partner. When you are apart, you can feel a bit closer to each other just by holding your part of the keychain, and it helps you look forward to the day when you can put the keychains together and make it whole again. Send your partner a high-quality balloon that is made of foil. The surprise is that inside the balloon, there’s a personalized message created by you! This is a fun way to deliver your message, and it will certainly be hard to forget. Have you ever thought of becoming the star of a book? Well, now you can! Have an epic romantic story written with the starring roles being played by you and your partner? Once the book is done, send it to your significant other as if it is just another book that you recommend. Then, see how long it takes before they realize that it is a story about you as a couple! If your partner loves flowers but you want to find a unique way to send them more flowers, then a tea bloom is your answer. All your partner needs to do is place it inside a pot of hot water as you’d do with a tea bag, then just watch the tea blossoms into an incredibly beautiful flower, right inside the pot! Your partner can enjoy some delicious warm tea while they enjoy the sight of the beautiful flower too as they think of you. A unique gift that is both stylish and has that extra personal touch, NoteCube helps to send personalized notes to your partner, wherever they are in the world. Simply head over to the website and purchase a box. Then, fill it with notes or words of love, special memories, inside jokes or anything that you think your partner will appreciate reading. You can even add photos to make your box more illustrative. After sending in the last note, just mark it as ready and NoteCube will send the one-of-a-kind box you have created to your partner in a beautiful keepsake box. How do you make things more adorable? Make them tiny, of course! Send your partner an itty bitty cute tiny letter for a gift that stands out. Because it is still a letter, you can write anything on it, be it a romantic message or a funny one. Nothing shows your love more than a necklace that has “I love you” inscribed on it in 120 different languages. Send this gift to your partner and there will be no doubt in their mind that you truly love them. Little Mint is a company that hand designs a photo collage for you and can incorporate a quote too. This is not just a great gift for your long distance partner, but also suitable for loved ones who live far away from you. Create a custom bracelet by spelling out a simple love quote with beads that have letters engraved on them. You get to use your creativity in this gift too! Because it is so personalized, your partner is sure to love it and show it off to his or her friends. Instead of sending your partner a bouquet of roses that will quickly wilt away, send them a rose made in 24k gold. Not only are these roses timeless and permanent, but you can also engrave your names and a special date on the petals, making it a one-of-a-kind rose. Get a heart-shaped charm bracelet engraved with your monogram and send it to your long distance girlfriend or wife. When they wear this beautiful bracelet, they will always be reminded of your love. Not only that, the jewelry looks beautiful so your partner will love wearing it too. This is actually two pendants that when put together, they become complete. Send your partner one of the two pendants to show that only when you are together, you truly feel whole again. For example, one of the pendants has the words “I love you,” and the other one has “to the moon and back” on it. They look fine when separated, but when put together it completes the famous quote of “I love you to the moon and back.” How romantic is that? Send your partner a necklace with a golden map of the world as a pendant. You can customize it by placing two gems on the continents that you and your partner live on. There is no better gift than this for couples who live on different continents. A USB drive might not be the most romantic gift in the world, but there are ways to turn it into one of the most heartfelt gifts your partner has ever seen. Get a USB drive with a heart engraved on it and upload songs, videos, and photos that remind you of the good times you’ve had with your partner. You can even record a voice message and upload it to the drive too. Now, isn’t that one of the most romantic gift ideas you have ever heard of? Create a journal with questions that could help you get to know each other better. You can send it back and forth with your partner until all questions have been answered by both of you. This is a great keepsake to read again years after to see how your relationship has progressed or how each of you has changed. You can purchase a set of couple pillowcases online and the designs make it so that they fit together to form a complete picture. Send one pillowcase to your partner and keep the other one for yourself. When your partner is lying in bed alone at night, they will think about you and take comfort in the knowledge that you have the other half of the pillowcase. This is a gift that is personalized, original, and it is free to make too! Make a book filled with coupons that your partner could redeem the next time you meet like “breakfast in bed,” “30-minute massage” or even something naughty to spice things up a bit. There are full of love coupon ideas on the internet so you won’t run out of inspirations. Get a nice glass jar and fill it with 30 love notes, each with a different message. You can put the notes in separate envelopes or just fold them up. Then tell your partner to read one note a day or when they feel sad to put a smile on their face. Create your own miniature slideshow with your selection of Instagram photos and send it to your partner with an Instagram projector. This projector is small and very portable, perfect for couples in a long distance relationship. Buy a few beautiful soaps that are made into the shape of a rose and turn them into a stunning bouquet of soap. Your partner will not only love it, but they will be able to use it too. Cards are a sweet gift, but one made from beautiful wood will certainly impress your partner. It is beautiful and durable, which is symbolic of your love and relationship. This is a long-lasting gift that your partner will never forget. Did you know that you can print your card on a cookie? Edible Gifts Plus is an online shop that can print your message or a photo on a cookie, put it inside a nice package, and send it to your partner. A romantic gift that also fills your partner’s tummy, what more could they ask for? You can get your likeness captured in a doll and send it to your partner. This way, whenever he or she is feeling lonely and misses you, they can hug the plush doll as if you are there with them. This is also a great gift for children too if you are a parent living away from home. Think of a location that holds a special meaning to your relationship, like where you first met, your wedding venue, etc. Then head over to Coordinates and design a piece of jewelry with the coordinates engraved on it to send to your partner. This is a stylish and beautiful gift that helps your partner relive one of the most important memories in your relationship. Custom make a pillow with your selected photos and send it to your partner. This is an awesome gift to lift your partner’s spirits when they are feeling down or stressed out. They could give the pillow a hug and feel better instantly! A quirky and unexpected gift often puts a smile to the face of the recipient, and a face cookie certainly qualifies as one! Send your partner a cookie with your face on it, or a few cookies with the faces of his or her family members as a fun and edible gift to make their day. Kdlinks make incredibly realistic and beautiful roses from gold foil. These flowers may look delicate, but they are timeless and more durable than the real thing. Send one to your partner and it will last as long as the relationship. Couple mugs are a set of two separate mugs that when put together, complete a picture. Purchase one set and send one of the mugs to your partner and keep the other with you. They are available in hundreds of designs for many different occasions. TinyPocketPeople makes cute tiny dolls that look like anyone you want. All you need to do is send them your photo and they will make a mini-doll that looks just like you. The doll is so small that your partner can bring it with them anywhere they go so that it feels like you are with them at all times. Temporary tattoos are definitely a fun and unexpected gift, especially when you customize them with a photo of your choice! You can turn this into a funny gift by sending your partner a temporary tattoo of you making a silly face or a romantic one with a sweet photo of you together. Perhaps one of the coolest and most creative types of jewelry out there, this pendant is made into a shape where when the light hits it, it creates a heart-shaped shadow behind straight onto the wearer’s chest. If you are looking for something unique and beautiful, this is your answer! Artifact Uprising is known for the supreme quality and texture of the photo books they create. If you want to have all your favorite memories captured in a photobook forever for your partner to keep, then head over to their website and choose from many of the designs available. If you are looking for something thoughtful and practical yet shows that you have put a lot of effort into creating a gift, then you should consider sending your partner a food box. Fill a box to the brim with your partner’s favorite foods or snacks. If you live in the same country, you can even add in fresh produce like fruits and nuts to make sure that your partner eats healthy foods. For a gift that is cheesy and sweet at the same time, head over to Online Star Registry and name a star after your partner. He or she will receive a certificate as proof plus a map and book of the star system. If you and your long distance partner both live in the US, then this is a fantastic gift to keep you feeling connected to each other. Get a mug with the states you and your partner live in printed on with hearts on the location of where both of you are. Have your partner’s favorite classic novel rewritten where they are the star, and other characters are played by you and their friends. This will give a refreshing twist to an old story and will surely bring lots of laughter to your partner. Nowadays, you can purchase custom name necklaces made to order. Have a gold plated necklace created with your name on it and send it to your partner. To make it even more romantic, make another necklace for yourself with your partner’s name on it. Even when you are very far apart from each other, you will still feel connected with the necklaces around your necks. Wherever your partner is anywhere in the world, you can send them a mouthwatering red velvet cake. Not only does this gift show your partner that you are thinking about them, but receiving a delicious cake unexpectedly will always make anyone smile. Lovebook Online is a company that helps you create a customized book that lists out all the reasons you love your partner. Although you probably do tell your partner why you love them, it is quite different from receiving a book with all the reasons illustrated in it. You can bet that this will be your partner’s favorite book and they will read it over and over again. Pipstick is a sticker club that sends a bundle of love to anyone you want in the form of stickers. Stickers are fun and can inspire and delight people without words. If your partner lives in the US, the company offers free shipping too. If your partner is a workaholic and never takes the time to pamper themselves, sending them a spa in a box will be perfect. You can fill a box with spa products like essential oils, bath bombs, facial masks and more so that you can give your partner a day to relax even when you are not around. Another fantastic edible gift idea where you can customize it by having a photo or message of your choice printed on it. Make it even more special with a sprinkle of your partner’s favorite sugary toppings. No one can deny the uniqueness of this gift! Sweeten up your partner’s day by sending them a box of artisan candies made by confectioners from all over the world that you can easily purchase online. The candies come in all shapes and sizes in a huge range of flavors from traditional chocolates to unconventional tastes, depending on your partner’s preference. If your significant other is in the military, they will definitely love a custom dog tag made just for them. You can print your own personalized message on one side of the tag and have a photo printed on the other side. This certainly makes for a heartwarming gift. You can purchase a set of two jerseys each with the words “King” or “Queen” and the number “01” printed on the back. Send one to your partner and wear them the next time you see each other again. This is perfect couple wear that clearly shows you are together but not in a too matchy-matchy way. While being in a long distance relationship is difficult, it is also a time that holds some of the best memories in your relationship. Fill up a notebook with the thoughts and things you want your partner to know. You can even include quotes, lyrics, and photos to make it more interesting. When the notebook is full, send it to your partner. This is a gift that will take quite some time and effort to make, but it will be so worth it in the end when your partner reads it. Nothing screams “I love you” more than a love gift set. Purchase a heart-shaped box and fill it up with everything that says “love” from heart-shaped anything to candies and flowers. Send this bundle of love to your partner and there is no way that they won’t feel your love for them. This is a pendant that looks like a pill capsule with the word “love” printed on it. The surprise element is that it can be opened and you can put a special letter in it for your significant other. Do not tell them that the capsule can be opened and see how long it takes for them to figure it out! At Memorablegifts.com, you can purchase a high-quality canvas showcasing a tree against a background of stunningly beautiful woods in fall. You can get you and your partner’s initials “carved” on the tree and send the canvas to your partner. This is a gorgeous and romantic gift that will melt his or her heart. If your partner works in an office, why not brighten up his or her day with a customized paperweight? Working in an office can be rather dreary but having something special like a paperweight with your custom message in it will help your partner make it through the day. If you are looking to wow your partner with a stunning gift that will take their breath away, then a hand-made glass rose could be your answer. Called a Forever Rose, these glass roses will not wilt away like the real thing. Fridge magnets are very useful and when you put them on your fridge, chances are you will see them every day. Turn a photo of you and your partner into a fridge magnet and send it to them. This way, every time your partner opens the door of his or her fridge, they will get reminded of you. Have your personalized message to your partner made into a beautiful token and send it to them. It can be an inspiring message of motivation or one that professes your love to them. Either way, make it sweet so that when your partner is feeling down, they can read the words on the token and feel better. Sending a heart-shaped pendant can be so cliché. Be more creative and send your partner a necklace with a rhythm strip as a pendant instead. A rhythm strip is the jagged line you see which represents the activity of a heart and looks much cooler than a regular heart-shaped pendant. If you are in a long distance relationship, it is inevitable that there will be some nights when you feel sad and lonely. Send your partner a lightbox with a love message on it to help them get through those tough times. The soothing glow of the lightbox with the loving message will help reassure them of your love and make it just a bit easier to get through those lonely nights. If your partner loves jigsaw puzzles, then this is the perfect gift for him or her. Turn a photo of you together into a jigsaw puzzle and let them have hours of fun completing it. When it is finished, make sure that they frame it and hang it in their home where they can see it all the time. Apart from the distance that separates you and your partner, time is another typical obstacle that long distance couples have to overcome. You know that you will eventually be together, but you will have to endure through some time before you see your partner again. Send your partner a rotating hourglass pendant that they can wear around their neck to show that time can be a beautiful thing too. It will help motivate them through the tough times until you are finally together. A blanket makes a person feel warm and protected, which is something you want your partner to feel even when you are far away. Send them a comfortable throw blanket that has a loving photo of you and your partner together printed on it. When your significant other wraps themselves up in this blanket, not only will they feel the warmth that the blanket provides, but also the warmth of your love. Send your partner a Magic Bean and when it sprouts, your partner will see the words “I love you” engraved on the plant. This is a clever way to tell your significant other that you love them. Although it might be a bit corny, it is still very sweet and cute, not to mention unexpected! Another quirky yet sweet gift idea, a giant card is something that your partner will not forget soon. You can even try to be cheeky and send a giant love card to your partner’s office and have a good laugh out of imagining your partner awkwardly trying to read a massive card while their colleagues are watching. But only do that if you are confident that your partner is a good sport and that their office environment is suitable for this kind of harmless prank. A promise ring is something that you give your partner to reassure them that you will love them no matter what. This is especially meaningful for long distance couples since they have the added challenge of being physically apart most of the time. Customize a promise ring with your partner’s birthstone and engrave it with your names, sealing your love for each other forever. If you and your partner live in different time zones, a necklace with two separate clock faces is something practical and meaningful. Before sending it to your significant other, adjust the clocks to show the time in the time zone you and they are in. Now, all your partner needs to do is look at the dials on his or her necklace to know what time it is at your place – a beautiful and thoughtful gift! Since you cannot be there with your significant other all the time, send them a boyfriend pillow so that they can cuddle up to it as if it were you! This is a rather funny gift idea, but it does its job of being a cuddle buddy for your partner. Of course, if you are the girlfriend in the relationship, then you will want to send a girlfriend pillow to your significant other. Since you cannot send yourself over to them, send this pillow in your place instead! A pillow shaped like a buffed man’s arm attached to half a torso is a silly but fantastic gift for your long distance partner. It is more substantial than the ordinary boyfriend or girlfriend pillow and who does not want to snuggle up to a muscular arm? Coffee is the lifeblood of the military. If your partner is away on a mission, you can send coffee directly to their base regardless of where they are. Black Rifle Coffee Company is a veteran-owned company that ships their own roasted coffee to any APO or FPO addresses. Make sure the address is as specific as possible to ensure that the bag of coffee will end up in your partner’s hands. Sending a piece of jewelry to your partner is nice, but what if it is hidden inside a candle? Secret Jewels create beautiful candles with jewelry in each of them. The jewelry is protected inside a foil bag so that it will not get damaged when it eventually gets revealed by burning the candle. There are downloadable and printable stationery papers designed just for long distance couples. Make your love letter even more special by writing it on one of those beautiful papers and put it in a special envelope too. Your partner will definitely appreciate the extra effort you put into writing the love letter. Head over to Etsy and you’ll find artists who can create amazingly beautiful hand-cut paper art that is customized to include a personalized message. If your partner is someone who appreciates intricate artwork, he or she will be definitely be impressed by this original gift. There is a journal designed by Suzanne Zenkel that is filled with questions that help guide you in writing out your love story your own way. Get the journal and answer all the questions in there and when you are finished, send it to your partner. They will appreciate the effort you put in creating this gift and enjoy reading it too. Nelle and Lizzy is a company that makes beautiful rings in silver or gold which you can get with your name hand-stamped on. Order a pair each with your names on and send the one with your name to your partner. Send your love in the form of a message within a silver fortune cookie to your partner. You can create any message you like and the “cookie” opens and closes with the help of a hinge. Therefore, it will last for a long time, unlike a real fortune cookie. No matter how long since it has been when you first met your partner, chances are both of you still remember the special place where you first laid eyes on each other. Freeze that special moment in time by ordering a custom jigsaw puzzle from Simply Personalized. All you need to do is provide a zip code and they will create a handmade jigsaw puzzle for you. You can purchase a make-your-own photo snow globe kit from Amazon and create a personalized snow globe for your significant other. The globe holds two photos of your choice and you can customize the base with anything you like including a monogram, drawing, or even another photo. Purchase a digital photo frame and fill it with the most important photos of you and your partner. Send this to your significant other and you can add more photos to the digital photo frame via an app wherever you are. If you have any ideas that we did not mention in our list, let us know!